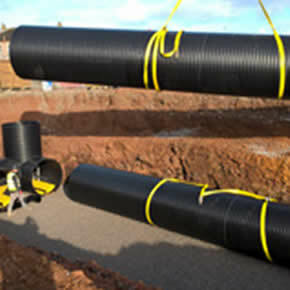 Over the last 40 years JDP has grown to become one of the UK's largest suppliers of construction, drainage and civil engineering products for house building, commercial, public and industrial buildings, civil engineering and utilities as well as sports and recreation parks and agricultural, horticulture and aquaculture. 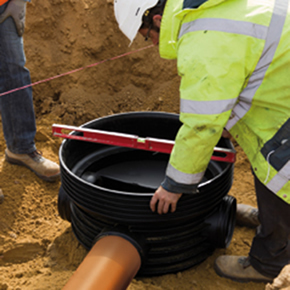 With extensive distribution coverage, a nationwide network of 26 branches and 15,000+ products, technical expertise and knowledgeable staff, JDP provide a customer focused service from one source. 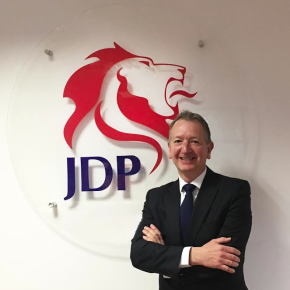 JDP has announced the appointment of a new Managing Director, Darran Rickards, to take over from current MD, Steve McLellan, in April. 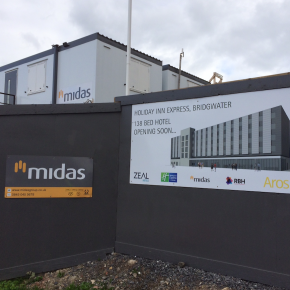 A new 10-acre cutting edge office development just outside Durham is incorporating a RAINBOX 3S attenuation system from JDP. 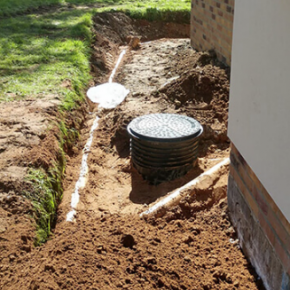 JDP is celebrating 45 years in water management by driving investment in new branch openings, continuous branch improvement and expanding the company. 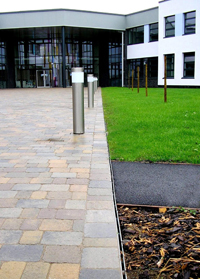 Synthetic Turf Management has specified JDP’s RAINBOX Attenuation Solutions to protect its new multi-purpose games area (MUGA) at Bookwell Primary School. 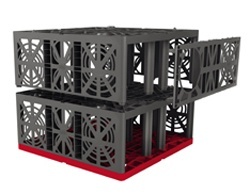 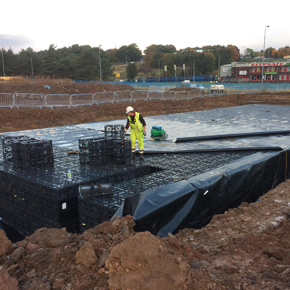 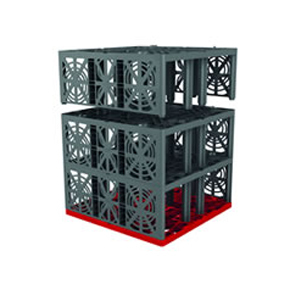 JDP has prepared the ground for a new CarStore supermarket in Dundee using its RAINBOX Cube attenuation system. 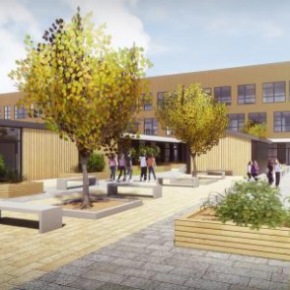 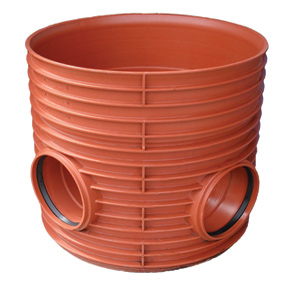 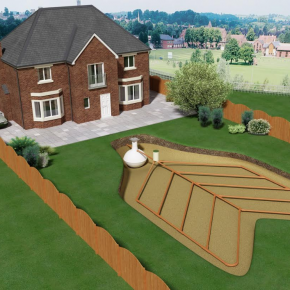 Ahead of the 2016 London Build Show, Buildingtalk previews the latest leading drainage solutions that will be exhibited by water management specialists JDP. 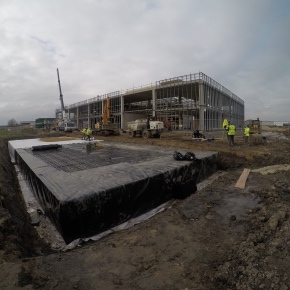 Axedo plastic inspection chambers have been incorporated into the drainage system at a new multi-storey car park for London Luton Airport. 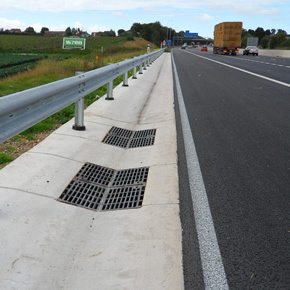 JDP has supplied an effective drainage water management solution for a £33m highway improvement contract on the A30 near Bodmin, Cornwall. 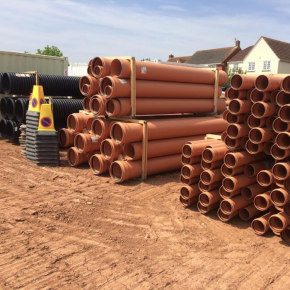 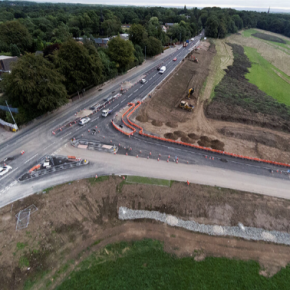 JDP has supplied HDPE pipes for a stormwater attenuation tank, to provide best practice SuDS and effective water management for a new housing development. 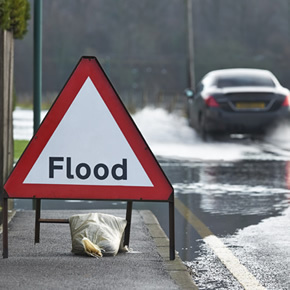 With UK homeowners at risk of localised flooding, it is important that sustainable drainage systems are considered to reduce the impact of flooding.